AN original 1960s-'70s house in a prime position in a sought-after street ... the auction of 15 Foote Ridge, Buderim, on Saturday is sure to attract attention. A solid build in a great position, it presents an unprecedented opportunity with sensational ocean views, according to marketing agent Chris Pace of McGrath Estate Agents. Positioned in a sublime tree-lined avenue and arguably one of Buderim's most exclusive addresses sites, this mostly level 1108sq m landholding with magnificent 180-degree ocean views. Scaffolding has been erected to show the 220-degree views that can be obtained if rebuilding or extension of the brick-and-tile home is being considered. 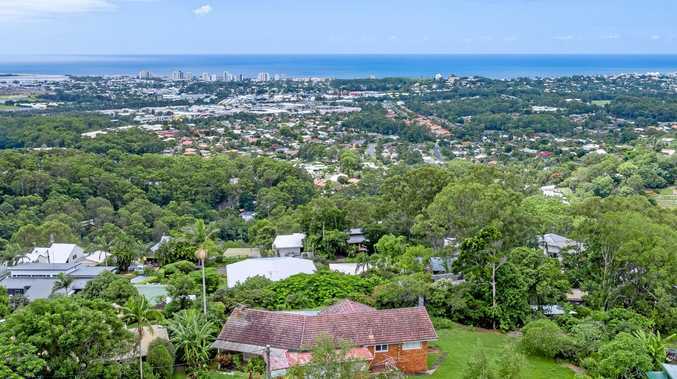 The views stretch from Mt Coolum to Mudjimba Island and around past Alexandra Headland to Kawana, Caloundra ... you would see Moreton Island on a clear day. Offered for the very first-time, properties like this are tightly held and rarely presented for sale, Mr Pace said. "We have been getting massive interest at every open home ... well above the odds. 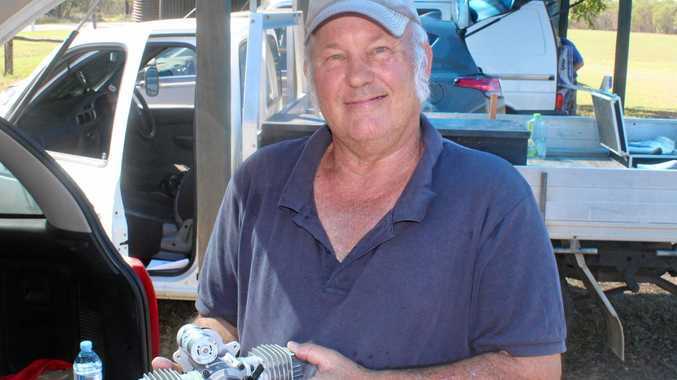 "Mainly from the Sunshine Coast, Buderim in particular. "They understand how good the position is. The single-level house with storage underneath is right at the north-east point of the cul-de-sac. The large lounge room with combustion fireplace has nine-foot ceilings. The hardwood flooring underneath the carpet suggests late '60s, early '70s. A sunroom with terrazzo tiling features a built-in bar with bamboo fascia, suggesting it would have been quite the thing in its time. Lino floor covering is in the kitchen that has a blue laminate on the benches, and a timber laminate on the cupboards. Sliding doors are used instead of a roll-down door on the cabinets above behind the benches. A Westinghouse stove and oven is installed. There is a grey and white mosaic pattern in the bathroom, again with laminate benchtops. As well as a bath, there is a shower with reinforced glass sliding screen doors. The main bedroom has built-in robes from the 1960s era. It's the same with the second bedroom while the third looks to the east and has views to Kawana. The laundry opens to the tiled carport. The property will be open for inspection from 3pm Saturday with the auction starting at 3.30pm.